Few places are more redolent of Scottish history than Holyrood Palace in Edinburgh, the principal residence of the kings and queens of Scotland since the 16th century. On a mist-shrouded day I approach the Royal Arms of Scotland over the gateway. I know that the cloisters within are as far as my camera can take me, yet somehow I don’t mind. Audio clasped to my ear, I gaze around me. Aged tapestries clothe wood-paneled walls, the furniture worn but sumptuous. Not hard at all to picture Bonnie Prince Charlie in this setting. The ancient floors creak and give under modern shoes. In the endless Great Gallery I sink onto a stool to absorb the weight of majestic paintings, commissioned by Charles II. Through the King’s Ante-Chamber, his Bedchamber and Closet I have crept reverently, but the spell of this house is all bound up in the unfortunate Mary Queen of Scots. Arch rival to Elizabeth I, her life was surrounded by intrigue and plots. You can almost feel the anguish as you mount the stairs to her chambers at the top of the palace. Held prisoner here, her embroidery box sits poignantly on a table, with the bible she used for her devotions. Mary occupied these rooms from 1561 to 1567, and it was here that she witnessed the brutal murder of her secretary, David Rizzio. Married to Henry Stuart, Lord Darnley, at Holyrood in 1565, the following year Darnley was among those wielding a knife when Rizzio was stabbed 56 times. ‘Cloak and dagger, furtive, covert, stealthy, concealed’- all are contained in the definition of Clandestine. The life of the Palace began much earlier, in 1128, when an Augustinian abbey was founded at the order of King David I of Scotland. 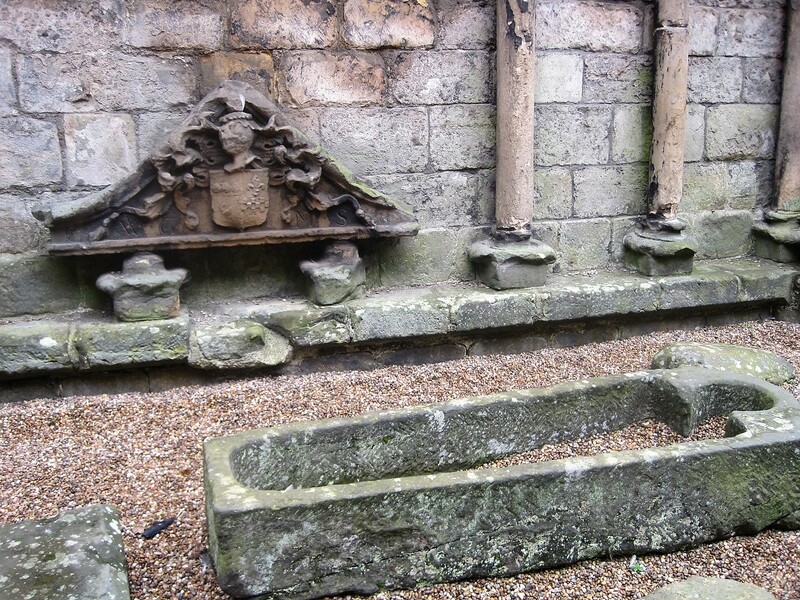 The Holy Rood, or Black Rood, was a relic of the True Cross of Christ which had belonged to David’s mother, Queen Margaret. The abbey guesthouse was used for royal visits, until construction of a palace began in 1501. Whereas the palace has grown and endured over time, the Abbey was reduced to a ruin in 1544, when Holyrood was looted and burned. Full restoration was never undertaken but the ruins are hauntingly beautiful. I gazed out, through the grills, to the park where a captive Mary once practised her archery. Today the monarch spends one week a year in residence at Holyrood Palace. How times have changed! You can view some of the history here. I have made only a very tenuous link to today’s Thursday’s Special. As I explained to Paula, Traces of the Past might make a better home. But I’m the impatient type and can’t wait until 6th October for the next edition. Have a look at what Paula makes of Clandestine. Really good blog Jo! Believe it or not this year was the first time I visited the Palace,despite living in Edinburgh since 2007. I am glad I finally managed it this year, otherwise I would be pretty ashamed to be commenting on your blog and saying I hadn’t been. Super photos! Splendid tour, Jo. Definitely lots of ‘cloak and dagger’ in the atmosphere. Although I have some Scottish ancestry, I have a poor knowledge of Scottish history. It was only last week that I learned of Queen Margaret ( born in Hungary! ), but, of course, Mary, Queen of Scots, has been a favourite of mine since childhood. Historical novels always grabbed my attention more than dry history lessons. Your pictures gave me a real feel for the place! Hope to see it for myself one day. It’s pretty overwhelming. It looks wonderful, Jo. I really must take up an old friend’s invitation to visit her in Edinburgh, because to date I’ve only ever driven through this beautiful city and you’ve just reminded how much I’m missing. 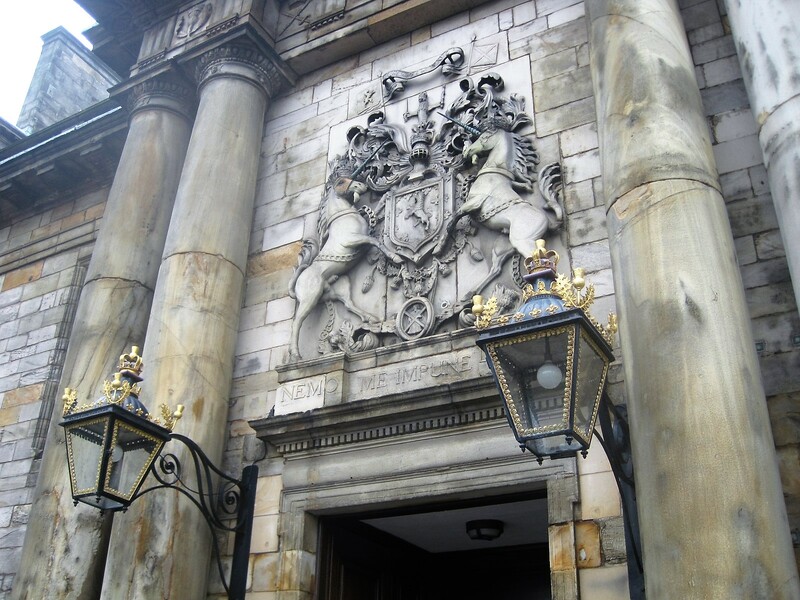 Edinburgh is one of my favorite cities, although only visited there once…so next time I will need to spend time at Holyrood Palace ~ great photos and introduction…sigh, to have seen it back when it was built, the history is so rich. Your devoted readers have already sang all the praise hymns to you, my lady! I shall linger under the spell of this story for a while. Thank you and enjoy you weekend! I love the way Paula squanders themes – and the atmospherics of what you’ve done with this one. I love the mix of marble and raw stone,and the recounting of bloody events from the distant past. Hope the sun is shining: it’s chilling here, enough for our heating to be switched on. Sending you artificially warmed hugs!